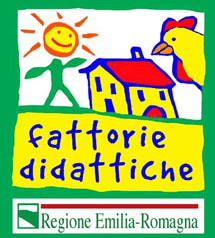 A farm house in Bologna which has a special focus on children and families. The farm il Bio Nonno is located in the heart of the Po Valley in the middle between the provinces of Bologna, Modena and Ferrara. The structure of the farm is equipped with a large, well-kept park, shaded by an old plane tree and equipped with games for children. We have a bike rental to reach, through the bike path, Cento that is the nearest village , or enjoy the surrounding countryside. In the farmhouse are available apartments, spacious and bright, newly renovated, with: equipped kitchen, satellite TV, heating and air conditioning. Are also supplied towels and sheets. On the ground floor can be used the two bog rooms to make parties and receptions in different ways ranging from a tender basis (using salt and park) to a full-service buffet and entertainment.